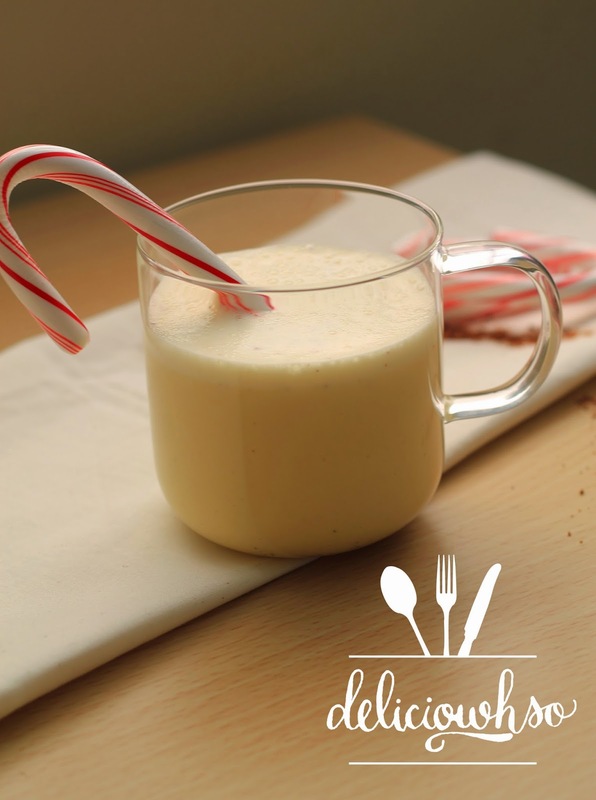 What's more reminiscent of the holidays than eggnog? The sweet, creamy, spicy flavor reminds me of the winter. With Christmas around the corner, it's the perfect treat for any time of day! This recipe is very simple. It doesn't take too many ingredients, and can be made within an hour. 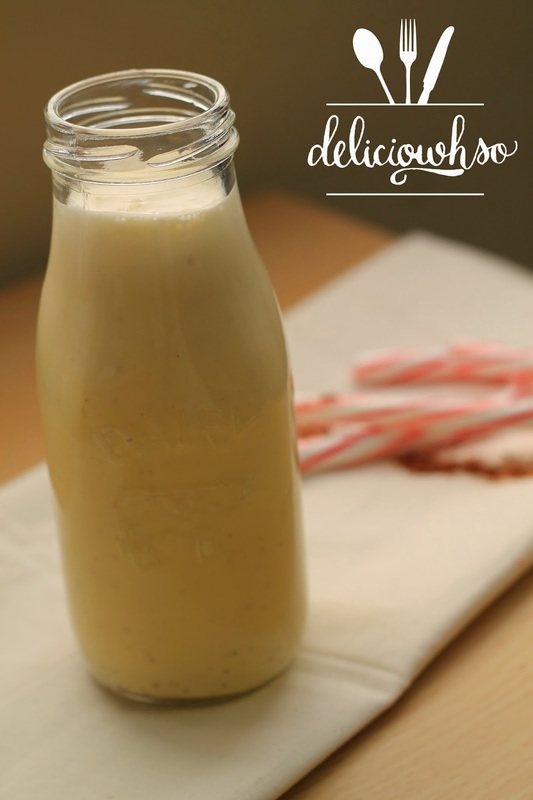 The eggnog does need should cool overnight for the best flavor, but can be put over an ice bath for immediate use. 1. In a large pot, pour milk and half the sugar. 2. In a large bowl, whip the remaining sugar and the egg yolks until it is pale in color. 3. Heat the milk until it boils. 4. As the milk boils, slowly add it to the egg yolks, while stirring. Then, pour the yolk mixture back into the pot. 5. Reduce the heat to low, and stir until it thickens. It should coat the back of a wooden spoon. 6. Remove the mixture from the heat and strain into a clean bowl. 7. Add the cinnamon, nutmeg, vanilla, and rum. 8. 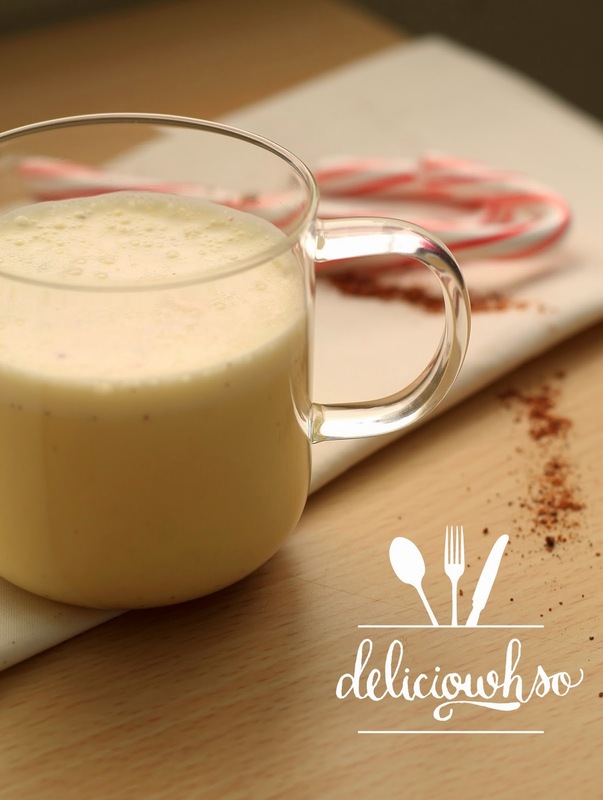 Gently stir in the cream and refrigerate until cold. 9. Serve cold in a chilled glass. I like to garnish my glasses with a candy cane. It's festive, and it adds another dimension of flavor to the drink. The minty candy increases the chill and adds a gentle peppermint that deepens the flavor of the spices. This drink is the best for any holiday party. You can add more rum or skip the rum altogether- whatever best fits the occasion. This recipe makes a lot, so it's a great option to take to a potluck!